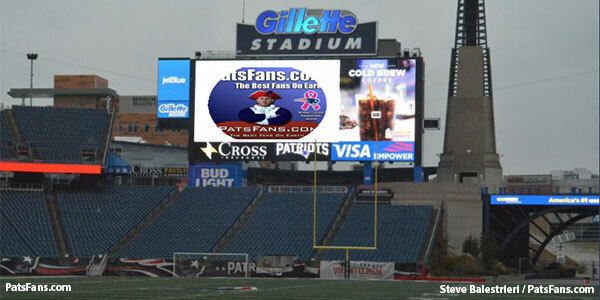 Good morning, Here is your Sunday’s Patriots news 7-1, & AFC East Notes … We’d like to wish all of our readers a happy and safe 4th of July holiday this week. And Happy Birthday America! We may have our issues, but there is still no better place to live in the world. *Gates will open at 8 AM each morning and the fan activities will remain open one (1) hour after practice ends. No Joint Practices? For the first time in about a decade (there were none in 2011 during the lockout), it seems the Patriots will not be conducting joint practices with an opponent. Typically Bill Belichick lines up the opponent for the first or second preseason game (both last year) and works out a joint practice schedule. It doesn’t seem like that will happen this year barring any last minute changes. Dwayne Allen’s status remains a hot topic for many fans as well as media members to discuss. Much like safety Jordan Richards, Allen remains a target for criticism considering his very small production in the passing game despite having a $5 million dollar cap hit in 2018, none of which is guaranteed. But Bill Belichick likes Allen and was pleased with his blocking ability. They brought in competition this spring. Although tight ends Jacob Hollister, Will Tye and UDFA Shane Wimann are more in the mode of “move” tight ends, both Troy Niklas and Ryan Izzo are considered more of the blocking type of tight ends and could provide a younger, cheaper alternative. Of course, the team could always opt for re-doing Allen’s deal, which many predicted they’d do in the spring and didn’t. Who Will Take the Slot Snaps in Case of #11 Suspension? If indeed Julian Edelman is suspended for the first four games of the season, who will the Patriots go to in the slot for the majority of their snaps and production? Well first off, they won’t (they learned that a year ago when he went on IR), be able to plug one player in that position, it is going to take multiple players to step up. Malcolm Mitchell: In a perfect world that primary player would be Mitchell. He looked at the end of the 2016 season to be primed for big things down the road. But his knee woes are well-chronicled and with him missing most of the spring workouts just makes him a player with too many questions health-wise for the team to rely on him. At least for the first month of 2018. Chris Hogan: The team looked like they were going to use Hogan in that type of role early in the 2017 season, but he ran into some injury issues of his own. However with Brandin Cooks, Danny Amendola and Dion Lewis gone, they may opt to go with an experienced, trusted player here. Phillip Dorsett: The former 1st round pick was underwhelming in his first season as a member of the Patriots as he had to learn on the fly. However, he looked better and more comfortable in the offense this spring. But Dorsett doesn’t have the skill set to play an Edelman role. Where could he fit better? In the Cooks role as the outside burner. And he has the quickness to work the underneath routes that Cooks struggled with. We’ll see how that works out in camp. Braxton Berrios/Riley McCarron: The young slot players resemble former Patriot slot receiver Wes Welker and are quick and productive when they’ve had their numbers called in college. But would the Patriots entrust such a vital part of the offense to such untested players in the first month of the season? Doubtful. Jordan Matthews: The former Eagle and Bill seems like he’d be an excellent fit for the slot role, although he is a much different player. Matthews is 6’3, 212 pounds and excelled in the slot role with Philly averaging about 70 catches a year before an injury-plagued campaign with the non-throwing Bills. But Matthews bet on himself, opting for a one-year, $1.0 million-dollar contract with New England this spring. He is the guy we’ll be watching if the Pats get some bad news on the Edelman front. Trey Flowers is in the final year of his rookie contract and a new contract with him may be a much more difficult undertaking than it appears on the surface. Flowers has led the team in sacks the past two years, despite not having a big presence opposite him on the other side in 2017. With the Minnesota Vikings signing DE Danielle Hunter to a 5-year, $72 million-dollar extension last week, with a $15 million signing bonus and $40 million guaranteed. That will be the starting point for negotiations. The two players have had similar production with Hunter logging 8 sacks and Flowers 6.5. However, Hunter plays in a much more aggressive defense and has played with Everson Griffen on the opposite end. Flowers isn’t flashy but does everything well, setting the edge, getting after the quarterback and kicking inside at times as an interior pass rusher. And with Adrian Clayborn on the team, signed in free agency, Derek Rivers back and Deatrich Wise looking to improve on a good rookie season, the chances for Flowers to cash in by producing in a contract year are very good. Former Cowboys GM Gil Brandt predicts Flowers will make the Pro-Bowl this year. That would be great news for Flowers. For the Patriots? It will mean, he’ll be just that much harder to re-sign. The Buffalo Bills opted for a possible future franchise QB with the #7 pick in the draft with the selection of Josh Allen. There is a lot to like, he has an absolute cannon for an arm and can deliver the ball in a manner that very few QBs can. However, as a rookie, the Bills are taking their time with him, very smartly and allowing him to learn the offense, work on his mechanics and find his way in the NFL before putting the pressure of being the franchise QB for the franchise. They brought in A.J. McCarron from the Bengals and he appears to have the inside track over Nathan Peterman for the starting job out of the gate. While many in the Bills fan base are clamoring to sign a WR, they need to take a page out of New England’s book and not worry so much about WRs, but get solid QB play. Wide receivers are successful because of QB play and not the other way around. Our friend Kerry Byrne of CHFF has labeled WRs, “shiny hood ornaments” and we tend to agree with that sentiment. Tom Brady won three Super Bowls with a pretty much no-name group of receivers. With fans clamoring for a Dez Bryant signing, it is just another case of which we’re ultimately familiar with in New England of “gotta get the NAME” player. Head coach Sean McDermott is installing a passing game that stretches the field horizontally. That isn’t a Bryant specialty. ▪ Thursday, July 26: 8:30 a.m.
▪ Friday, July 27: 8:30 a.m.
▪ Saturday, July 28: 8:30 a.m.
▪ Sunday, July 29: 8:30 a.m.
▪ Monday, July 30: 8:30 a.m. The caveat is that the Dolphins training facility at the Nova Southeastern University campus holds on 2000 people and fans must get tickets (which are free) by contacting the Dolphins website. If there are any Dolphins fans here in New England or you’re just interested in keeping up with what Miami is up to, I recommend you follow our old friend Antwan Staley who is a Dolphins beat writer for the USA Today and his stuff can be found on the “Dolphins Wire” website. Twan is a great guy and a die-hard Red Sox fan. New York Jets rookie tight end Chris Herndon from the University of Miami was arrested for DWI on June 2 after getting into an accident at 4:45 a.m. on I-80 westbound in Rockaway Township, NJ. His Nissan Altima crashed into a 2007 Toyota FJ Cruiser driven by Albert Elliott of Manalapan, 76, who was towing a trailer and hauling a yellow rail car. Herndon initially claimed that Manalapan hit him which caused his vehicle, to flip over. Herndon claimed to be driving only 58 miles per hour but a witness at the scene told NJ State Police that Herndon passed him going over 100 miles per hour. After the crash, Herndon’s SUV slid on its roof for over 700 feet. Officers detected a strong odor of alcohol on Herndon’s breath and he failed field sobriety tests. Once arrested and taken to the police station, he blew a 0.14 percent BAC on a breathalyzer. In NJ a person is guilty of DWI with a Blood Alcohol Concentration level of 0.08 percent or greater. Besides any court costs, fines or court-imposed penalties, Herndon now faces possible NFL-imposed discipline, which could include a suspension. Luckily, no one was seriously injured. This entry was posted in 2018 Patriots Offseason, NFL Commentary, NFL News, Patriots Commentary, Patriots News and tagged 2018 NFL Season, 2018 Patriots Draft, 2018 Patriots Minicamp, 2018 Patriots offseason, 2018 Patriots preseason, 2018 Patriots season, 53 Man Roster Projection, Bill Belichick, Braxton Berrios, Buffalo Bills, Chris Hogan, Danny Amendola, Dion Lewis, Jordan Matthews, Julian Edelman, Kenny Britt, Malcolm Mitchell, Miami Dolphins, New England Patriots, New York Jets, NFL, Patriots, Patriots wide receivers, Phillip Dorsett, Riley McCarron on July 1, 2018 by Steve Balestrieri. The Patriots head into training camp in just a few weeks and there should no shortage of competition at several spots, especially at the back end of the roster. As a lead-in to the beginning of camp, we’ll break down the positions and give our take on who is a lock, a near lock for the 53-man roster and who is on the bubble. Next up are the running backs. The running back position will look very different in 2018. Dion Lewis is gone, He got a nice deal in free agency and will be in Tennessee this year. 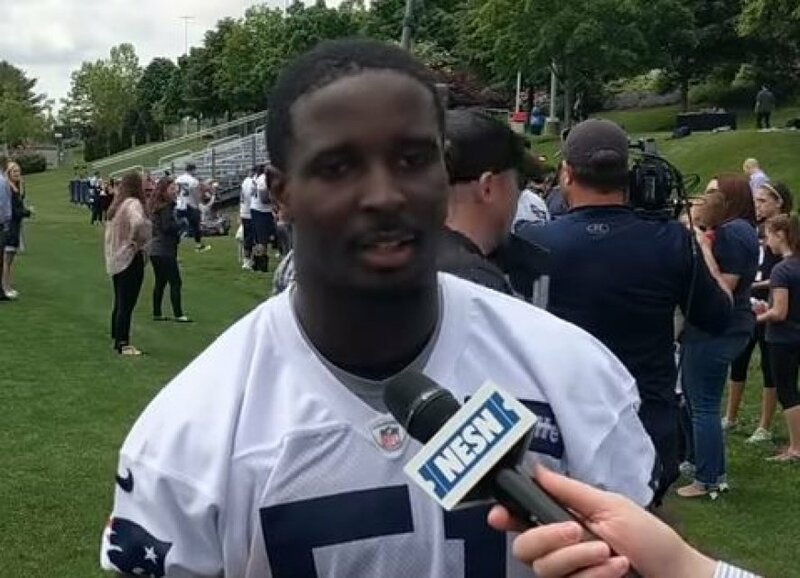 The team got back Rex Burkhead, James White returns but the big news is that the team invested a first-round draft pick to select Sony Michel (31st Overall) in the 2018 NFL Draft. The team is deep, talented and have four good players battling for two roster spots. So… who’s locked in and who’s on the bubble? The Patriots did the very unPatriot-like decision to draft a running back in the first round under Bill Belichick. But the selection of Sony Michel proves to be a very intriguing choice. He split the carries at Georgia with Nick Chubb, so playing in a New England backfield by committee won’t be a big exercise in adapting to the way the Patriots play. But what stands out about Michel is that he’s a big-time playmaker and should be able to step in and contribute in both the running and passing games right away. He’s a different type of player than Lewis but the chiseled 5’11, 215-pound back has a boatload of potential. Burkhead had a very good season in 2017 but appeared in only 10 games due to injuries. He’s back and can contribute in the running game, the passing game and on special teams. He’s a guy who will get about 500-600 combined yards rushing and receiving while being a solid contributor. James Develin was just resigned to a two-year extension worth about $3.8 million with a $600,000 signing bonus. Develin played in about 30 percent of the Patriots offensive snaps a year ago and his value lies in his blocking. Rewatch the AFC Championship Game and look at the hole Develin blew open for Dion Lewis in the 4th quarter. That kind of smash-mouth football is invaluable in the running game. White remains the Patriots go-to third-down running back, especially in the passing game. In 2017, White only had 43 carries but caught 56 passes for 429 yards with 3 touchdowns. His Super Bowl performance against the Falcons shows how hot he can get when getting the favored matchups (6 carries 29 yards 2 TDs, 14 catches 110 yards 1 TD and a 2PT conversion). The Patriots invested in Gillislee last year and he ran okay but his lack of production in the passing game made him predictable while on the field and he was a healthy scratch in seven games. Jeremy Hill was brought in because a change of scenery seemed like was needed for the veteran. He was an extremely productive running back in his first three seasons in the league, tallying up 27 TDs and 2700 yards rushing. But he fell out of favor in Cincinnati and is trying to restart his career here. The Patriots could use a big physical back to churn up short yardage and be the closer in games. Could he be that guy? Possibly, but he’ll have to have a good summer and show that he still has some tread left on the tires. Every year it seems, everyone has Brandon Bolden getting cut and every year, he’s back on the team and contributes a tremendous amount on Special Teams where he is a force out there. As a running back, he is a .260 hitter, he can run a bit and catch the odd pass here or there but is an excellent pass blocker. He will be either the 53rd player on the roster or the last guy cut. The Patriots signed undrafted free agent Ralph Webb out of Vanderbilt. Webb is a straight-ahead power back with a lack of speed but with excellent vision to see where openings are. Webb is a lunch pail guy who is extremely durable, tough and consistent. He’s not the biggest guy or the fastest but won’t be outworked. He was productive with 23 touchdowns the past two seasons. With a good summer, Webb could be looking at a practice squad slot and a chance to carve out a role for himself in the case of an injury in 2018 or in 2019. He reminds one of a slightly smaller BenJarvus Green-Ellis. He won’t make a lot of people miss but his feet never stop and you’ll get 100 percent on every snap. This entry was posted in 2018 Patriots Draft, 2018 Patriots Offseason, NFL Commentary, NFL News, Patriots Commentary, Patriots News and tagged 2018 NFL Season, 2018 Patriots Draft, 2018 Patriots offseason, 2018 Patriots preseason, 53 Man Roster Projection, Bill Belichick, Brandon Bolden, Dion Lewis, James White, Jeremy Hill, Mike Gillislee, New England Patriots, NFL, Patriots, Patriots running backs, Ralph Webb, Rex Burkhead, Sony Michel on June 25, 2018 by Steve Balestrieri. Isaiah Wynn was signed to a contract by the Patriots, it was announced on Friday. Wynn was one of two Patriots 1st round draft picks in the 2018 NFL Draft, #23 overall. He and Sony Michel were taken by the team in the first round. Wynn is a 6-foot-2, 302-pounder who played both guard and tackle during at Georgia. As a senior in 2017, he was named a team captain and started all 15 games that he played at left tackle. He was named to the 2017 Associated Press All-America Second Team. 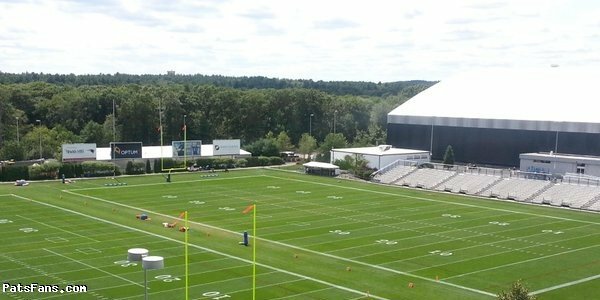 2018 Training Camp will begin on Thursday, July 26, the Patriots have announced. The team will give further details once the dates get closer but expect large crowds and if you want to get a good vantage point, plan to arrive early. Players aren’t paid during training camp. Instead, receiving room and board from the team and are paid per diem for their time spent at camp. Tom Brady and his wife Gisele attended the U2 concert recently and like everyone else, Brady sang along with the song (just like all of us do while driving). However, when it comes to singing along with Bono, Brady isn’t the GOAT, he is just as bad as the rest of us in the singing department. But hey, it never stopped me from singing….loudly in traffic or at concerts. Looks like fun was had by all… OOPS! There’s that pesky fun word again. Eric Decker, the free agent WR said on Sirius XM Radio that he’d be open to going to New England and reuniting with Josh McDaniels who drafted him in Denver in 2010. “At this point in my career I want to go somewhere where I have a chance to compete for a Super Bowl, be in a good system, be with a quarterback that my skill set would be an addition to the team,” Decker said. Brandon Browner, who won back-to-back Super Bowls with the Patriots and Seahawks was sentenced to 60 days in jail after pleading no contest in a domestic battery case. He was released after just two days due to jail overcrowding. Browner spent three years with the Seahawks and one with the Saints. In 2014, he played in nine regular-season games with the Patriots but played in a key role in their Super Bowl win over his former team the Seahawks. Jameis Winston is looking at a three-game suspension and once again the league has leaked out the punishment before the player was even notified. And the case, much like the Edelman case, feels like the league has to delve much deeper before issuing a suspension on him. So is the suspension for failure to report an incident, in which the player’s take is, that the incident in question never happened? We post our early summer 53-Man Roster Projection 1.0 earlier this week and one of the early winners we projected which got some questions was with the rookie linebacker Ja’Whaun Bentley over the incumbent, inside linebacker Elandon Roberts. Roberts is a favorite of Bill Belichick and his game is built similar to that of Bentley, as an early-down run stuffer. However, Bentley has got a distinct size advantage being 6’2, 260 pounds while Roberts is listed at 6’0, 235 by the Patriots. Both players’ strengths are playing downhill in the running game, neither is particular adept in coverage or running laterally. But Bentley also brings with him that coveted leadership mantle that he earned at Purdue. The Patriots run defense was pretty leaky when defending the run last season allowing 4.7 yards per rush, tied with the Rams for the 2nd worst in the entire league. Although that was a combination of things, one of the things which must improve was the play of the linebackers, which included Roberts. The feeling here is that the Patriots drafted Bentley is a bit of a statement saying they expected more from Roberts. Two other selections that got a lot of comments were the keeping of RB Jeremy Hill over Brandon Bolden and the UDFA rookie punter Corey Bojorquez. One thing is for certain, it is still very early and nothing is written in stone. But competition is always a good thing and training camp should prove to be interesting. One of the key areas to watch during training camp will be the Pats wide receivers. 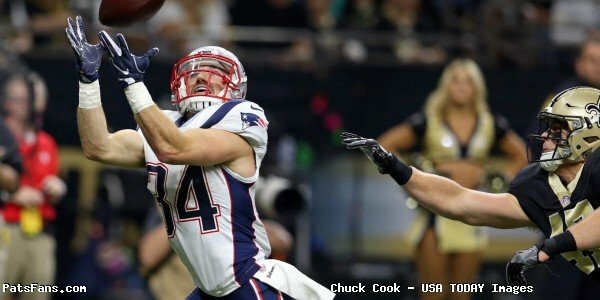 After losing both Danny Amendola and Brandin Cooks from the 2017 team, the team gets back Julian Edelman, Malcolm Mitchell and has added Jordan Matthews, Cordarrelle Patterson as well as Braxton Berrios during the 2018 NFL Draft. Edelman’s looming suspension and the health of Mitchell, Berrios who are coming off injuries and Kenny Britt who was dinged up in minicamp are the key things to watch for at the position this summer once camp begins. If Edelman’s suspension does not get reduced or removed during his appeal, it will at least give the team another four weeks to get a look at the WRs vying for a roster spot. There are 11 WRs vying for about 6 spots on the roster. That makes for great competition especially when considering that only a few (Edelman and Hogan) are locks to make the roster. There will have to be some tough decisions made. Guys like Berrios and Mitchell, who are expected to make strong pushes for the roster both missed most of the spring workouts. July 26th can’t get here fast enough. The Buffalo Bills’ former QB Jim Kelly and his wife Jill were in New York City for a follow up procedure from his recent cancer surgery. This one was planned far in advance for the former Bills’ great. Kelly will receive the Jimmy V Award for Perseverance at the 2018 ESPYs. The Miami Dolphins veterans will report to training camp on July 25. Under the NFL’s rules teams cannot have veterans report to training camp earlier than either July 15 or 15 days prior to their first preseason game, whichever is later. With their first preseason game slated for August 9, Miami will have all 15 days to prepare for their first action of the 2018 season. Miami rookies will report on July 18. The Dolphins are expecting big things out of Kenyan Drake in 2018, the 3rd year RB will be the featured back in the Dolphins offense. He started six of 16 games a year ago and really found a rhythm once he got into his groove. Patriots fans will remember his big night in the Fins win over NE where he ran for 114 yards and caught passes out of the backfield for 79 more. I’d expect Adam Gase to use him a lot like the Patriots used Dion Lewis last year and with the ageless Frank Gore in the backfield, it should keep Drake fresh for the crunch time in games. The New York Jets need an edge rusher and ESPN’s Rich Cimini laid out a couple of interesting options for Gang-Green to possibly pursue. The two names he was writing about was the Broncos’ Shane Ray and the Jaguars Dante Fowler. While Ray is coming off of wrist surgery which may delay his start of the 2018 regular season, Fowler was a very impressive young player on a team that is stacked on defense. Cimini states that Fowler may be in the position where the Jaguars won’t be able to pay him in 2019 and is coming off a very solid 2017 year where he notched eight sacks. He was originally picked by Jacksonville 3rd overall in the 2015 NFL Draft and won’t come cheap. He’s just 24 years old and while the Jags front office won’t be able to get what he’s worth, they won’t be giving him away either. The Jets have made it clear, that Sam Darnold will be given every opportunity to win and become the starting QB by Week 1 of the 2018 season. The feeling here is that the Jets are making a mistake. The team has a solid veteran in Josh McCown who played very well in 2017 as well as Bridgewater who was playing very well before getting hurt. Don’t risk damaging Darnold’s confidence, if he indeed is your QB of the future by throwing him to the wolves too soon. The Jets fans and front office have been waiting for their franchise QB since Joe Namath left. We’ll see how it all works out once training camps and preseason games begin this summer. This entry was posted in 2018 Patriots Offseason, NFL Commentary, NFL News, Patriots Commentary, Patriots News and tagged 2018 NFL Season, 2018 Patriots Draft, 2018 Patriots Draft Picks, 2018 Patriots Minicamp, 2018 Patriots offseason, 53 Man Roster Projection, Bill Belichick, Buffalo Bills, Chris Hogan, Dion Lewis, James White, Julian Edelman, Miami Dolphins, New England Patriots, New York Jets, NFL, Patriots, Patriots edge rushers, Patriots wide receivers, Rob Gronkowski, Tom Brady, Trey Flowers on June 24, 2018 by Steve Balestrieri. Sorry to say, this column is strictly football, so if you’re looking for analysis of body language, the subliminal messages by Gisele or TB12 that may have been sent on social media or the butterfly effect that the Dalai Lama breaking wind in Tibet and the effect it will have on the Patriots this season, you can save yourself the time now. So… who is locked in and who is on the bubble? The Patriots are so fortunate that every year since early in the 2001 season, they know who their starting QB is and have the luxury of knowing that he is more than capable enough to take them to the promised land. In 2017, the 40-year old quarterback had an MVP season, completing 385 of 581 passes, (66.3 %), for 32 TDs and just 8 INTs. He led the Patriots offense to 394.2 yards per game, #1 in the NFL and to 28.6 points per game, #2 in the league. In the playoffs, Brady went 89 of 139 (64%) for 1132 yards with 8 TDs and 0 INTs. He brought the Patriots back in another big 4th quarter comeback in the AFC Championship Game against the Jacksonville Jaguars leading to a third Super Bowl appearance in four years. Against the Eagles, Brady went 28-48 (58.3%) for a Super Bowl record 505 yards with 3 TDs and 0 INTs. 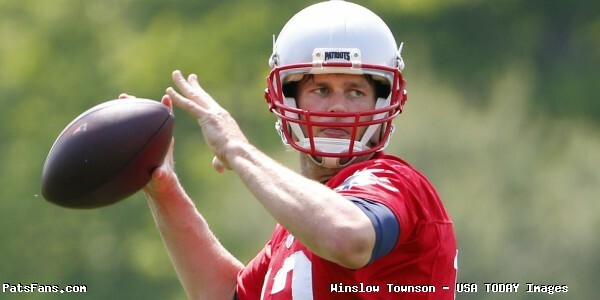 However, every season we deal with the inevitable question of “when will Brady begin to show his age and slow down? Answer: It doesn’t look like it anytime soon. Which is why I have zero issues with Brady taking the OTAs off this season. Consequently, lost in the all the “Hatfield – McCoy Feud” storyline is the fact that perhaps Brady feels at his age that he wants to limit the wear and tear on his arm and may have been feeling fatigued at the end of last season. That very possible scenario got little to no play this spring. If that is the case, I have zero problems with it and neither should anyone else. He’s more than earned that right. But for the record, would I rather see #12 QBing the team during the spring workouts? Of course, especially with the new faces here on the roster. So, we’ll see how all of this works out, but if you’re expecting (hoping) to see a significant drop off in Brady’s production, you may be disappointed. Unlike nearly every other quarterback in league history, Brady has shown an ability to adapt to change. 2018 will likely not be any different. On a positive side, the Patriots get back Julian Edelman (albeit after a possible 4-game suspension), picked by Jordan Matthews this spring and drafted the dynamic Sony Michel who should be a big factor in both the running and passing games. 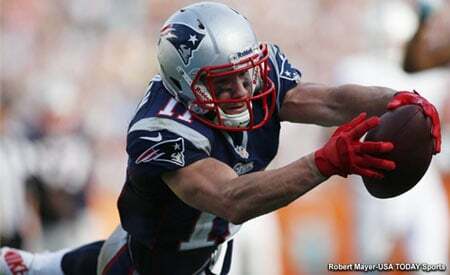 And the best tight end in the game Rob Gronkowski is healthy and ready to go. I watched Brady at minicamp and saw no drop off in his game, nor any indications that he was “mailing it in”, (a familiar question this spring). He looked like the Tom Brady we’ve all come to expect and to see and he looked like Tom Brady….meaning excellent. Hoyer came back to New England in the fallout from the Jimmy Garoppolo trade with the 49ers last fall. He was released to make room for Jimmy G. and then quickly signed back with New England as Brady’s backup. Hoyer is who he is at this point in his career. He’s not a great QB and is limited in the things that he can do. But he knows the offense very well and he has the confidence of the coaches that he can get the job done if the situation arises where he has to step in. .
Etling is a rookie who is still trying to learn the Patriots offense and find his rhythm with it. He has a long way to go. With his limited snap load in training camp, do we expect him to push Hoyer for the backup spot on the roster? Very doubtful. But the Patriots made an investment in him this spring, albeit a 7th rounder (219th overall). His job this summer is to show enough progress to justify keeping him around this season and to learn the offense enough to push Hoyer out next summer as the backup. I think he’s already shown enough to justify that. He’ll probably get very acquainted with the clipboard this fall, but I think he’ll stick. With Brady sitting out the majority of the spring workouts, Hoyer was getting a ton of reps and looked a bit arm fatigued by minicamp. With both he and Brady getting up there in age, having Etling around will help him learn the system and keep their workloads down to an acceptable amount. This entry was posted in 2018 Patriots Draft, 2018 Patriots Offseason, NFL Commentary, NFL News, Patriots Commentary, Patriots News, Patriots Podcast and tagged 2018 Patriots Minicamp, 2018 Patriots preseason, 2018 Patriots season, 53 Man Roster Projection, Bill Belichick, Brian Hoyer, Chris Hogan, Danny Amendola, Danny Etling, Dion Lewis, Jimmy Garoppolo, Julian Edelman, New England Patriots, NFL, Patriots, Patriots quarterbacks, Rob Gronkowski, Tom Brady on June 21, 2018 by Steve Balestrieri. It was good to see some of the injured players from last year, back on the field, in varying amounts of work. 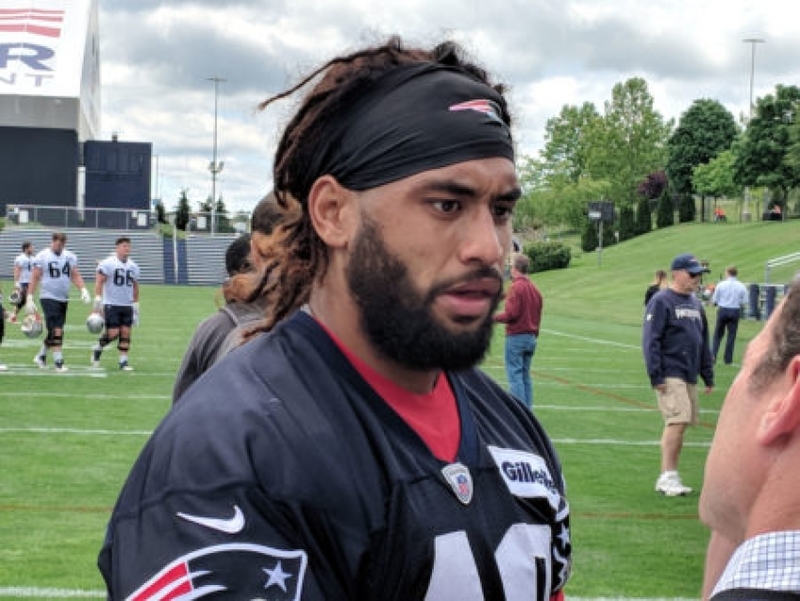 But one player, Harvey Langi, who was injured in a car wreck while stopped at a light in Foxboro along with his wife in October. Langi was thankful to just survive and spoke about how blessed he was to just to see her okay. The two were sent to different hospitals in Rhode Island and Massachusetts on the night of the accident where the fire department had to use the “Jaws of Life” to cut them out. He’s never had a surgery in regards to football but ended up on IR after being rear-ended. The media asked all the players about the “fun” angle and most laughed it off. Running back Rex Burkhead, said he wasn’t even going there but having great fun at minicamp, as everyone in attendance laughed with him. Chris Hogan is fully healthy after lingering shoulder issues cut back on his production last season. 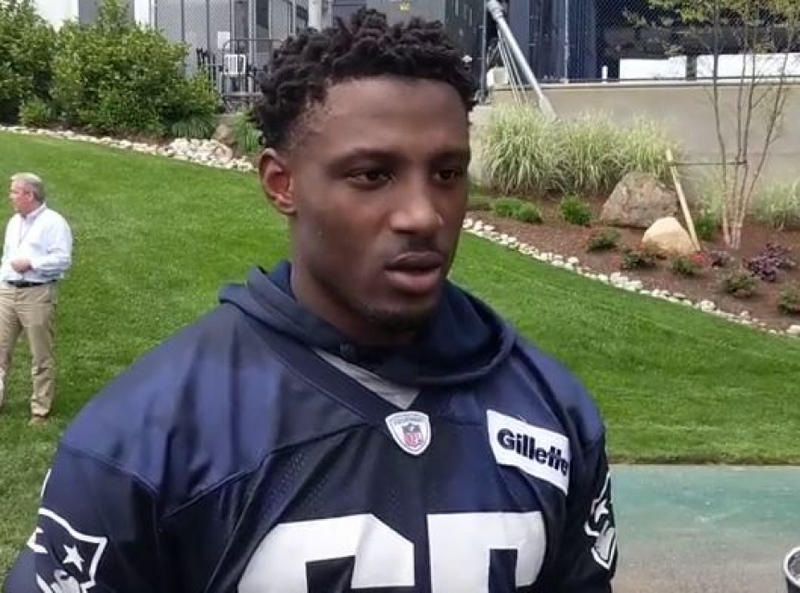 He spoke about the intensity ramping up a bit in minicamp and spoke about the team energy taking a step up with Tom Brady and Rob Gronkowski being back. RIP to the 49ers Dwight Clark who passed away this week after a long battle with ALS. Clark was famous for “The Catch” from Joe Montana in the NFC Championship Game against Dallas. By all accounts was as classy off the field as he was on it. We still remember that catch like it was yesterday and recall watching the game in a crowded dayroom on Ft. Bragg long ago. For the third time since 2010, the Ravens and coach John Harbaugh have been fined by the league for excessive contact during OTAs/Minicamp. Harbaugh claimed that the league singled out Baltimore for what other teams all do. Baltimore had to forfeit their last two OTAs, while Harbaugh was fined $50,000 and the team assessed a $100,000 fine for the latest infraction. “I am so grateful for all of the support my family, friends, and certainly my fans, have shown me throughout my entire career in the National Football League. When it was announced that I was going to be inducted into the Pro Football Hall of Fame, the response received from my fans was overwhelming, and I am truly humbled. I am honored to be included among this group of fellow inducted individuals. “While I am incredibly appreciative of this opportunity, I have made the decision to publicly decline my invitation to attend the induction ceremony in Canton. I have already shared this information with the Hall. After visiting Canton earlier this year, I came to the realization that I wish to celebrate what will be one of the most memorable days of my life, elsewhere. At a later date, I will announce where and when I will celebrate my induction. “I would also like to thank the San Francisco 49ers, the Philadelphia Eagles, the Dallas Cowboys, the Buffalo Bills and the Cincinnati Bengals for the time I was granted with each organization. I am thankful for the relationships forged and the lessons learned while part of each team. This is unchartered territory, no living Hall of Fame member has ever declined his invitation for enshrinement. “We are disappointed by will respect Terrell’s decision not to participate in the Enshrinement,” Pro Football Hall of Fame president and CEO David Baker said in a statement. Something tells me he’ll change his mind, being in the limelight is too big an opportunity to pass up. How times have we said, the Patriots are many things but never boring. Rumors were swirling around the Patriots on Friday. Barstool Sports posted that Pats TE Rob Gronkowski was rumored to be on the trading block and they were writing a “pre-emptive blog post or what might be, if true, the most stunning move of the Bradichick Dynasty. Stay tuned” Which sent many fans overboard. Several of the regular beat writers chimed in trying to read the tea leaves and glean any indication that the rumors could be true. Tom E. Curran posted about an hour later that the Patriots weren’t trading Gronkowski and fans could resume their weekend fun. 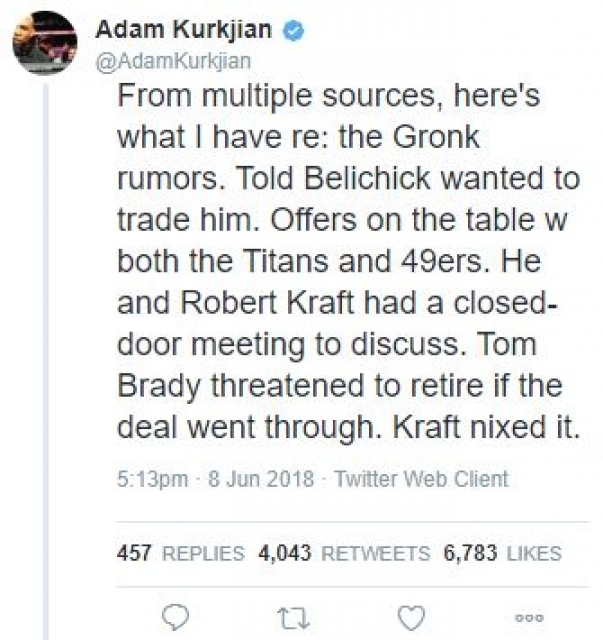 But about 5 p.m. former Herald Pats beat writer Adam Kurkjian posted that he had multiple sources that there were deals on the table but Robert Kraft nixed them. Others in the media quickly squashed it as well. Former Patriots QB and now the team color man on the radio broadcast Scott Zolak posted that someone high up in the organization was ashamed of the buzz on what was a false story. Julian Edelman is facing a four-game suspension for violating the league’s policy on performance-enhancing drugs. In appealing the decision, Edelman released the following statement on his Instagram account. Apparently, Edelman and the Patriots as they exited the practice fields for the final day of minicamp on Thursday, they were unaware of the ruling coming down from the league, where someone leaked it to Field Yates and Adam Schefter of ESPN. While no one knows on what grounds Edelman will base his appeal, those normally do not as a rule fare well. Edelman would miss the first four games against the Texans at home, on the road at Jacksonville and Detroit and home against the Dolphins. He’d also forfeit over $400,000 in base salary alone during his suspension. While many point out, and correctly so, that the Patriots went to the Super Bowl without Edelman a year ago, they’re also dealing with the losses of Dion Lewis, Danny Amendola, Brandin Cooks as well as Nate Solder at left tackle from last year’s team. While this season’s offense looks even better on paper than 2017, with so many new faces on the team this season, it may take them some time to find their comfort level and their roles in the offense. And having no Edelman there for the first quarter of the season is definitely a big blow. Especially without Amendola there to take up his slack. On the flip side, it will give one wide receiver an extra four weeks to make an impression and possibly carve out a role for himself. We shall see. Ryan Allen is most definitely facing some competition at punter this year during training camp and if Wednesday’s minicamp practice session is any indication, it should be quite a good one to watch. Solid camp competition is always a good thing for the team. We were in attendance for minicamp and the first thing that jumped out to us was that UDFA rookie punter Corey Bojorquez from New Mexico has a tremendous leg. He was booming punts with tremendous height and hang time and had a distinct advantage over the veteran incumbent…for now. But it is all about consistency and whether he can do it all the time. Allen is in the last year of his contract and beat out incumbent Zoltan Mesko who coincidentally was in the last year of his contract in 2013. Bojorquez, the left-footed punter not only have to continue his hot start punting but do the holding for Stephen Gostkowski’s extra points and field goals, something Allen has been very solid at. 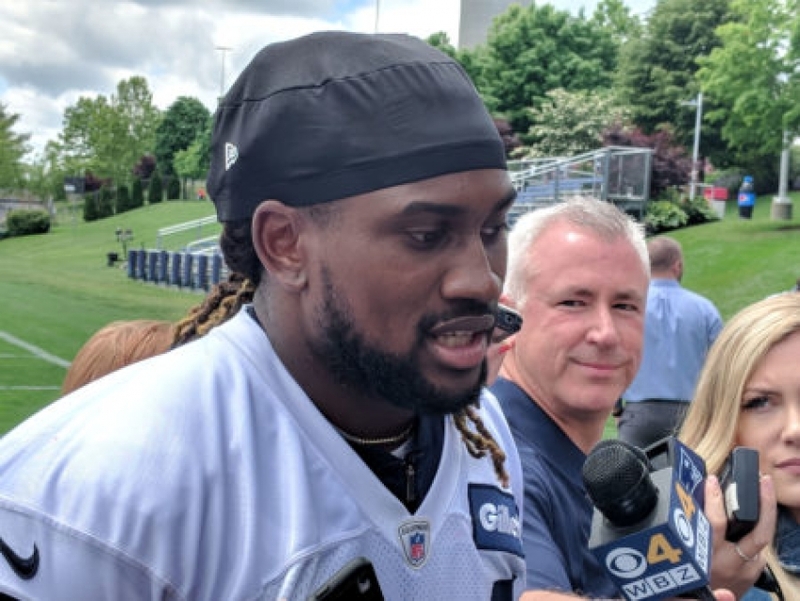 Minicamp was also the first time we’ve gotten to see Cordarrelle Patterson up close and his speed is something that just leaps out. He showcased that during the return part of the session as he eats up yardage…fast. With the new kickoff rules in effect, the Patriots ST coaches Joe Judge and Bret Bielema are working on new packages to get Patterson free to get to that next level. He already has averaged over 30 yards per return with 5 TDs in his career and he smiled when asked about the new rules. One area where he’s struggled is finding a consistent role on offense. He’s known as a gadget-type of player, running reverses, screens and such. But thus far the Patriots seem intent on trying a number of different things with him and he’s open to whatever the coaches decide. Many had Patterson as a bubble player or as a cut going into the season. Forget that. He’s a lock, for his STs ability alone, and if he can work his way into the Patriots offense for just 10-15 snaps a game? That is a win-win for the Patriots. With the Patriots finished up until training camp begins in late July, we compiled a quick list of who helped themselves during the spring and who didn’t. After three pretty intense days (albeit without pads) of practice, the team looks in pretty good shape. Besides the usual stars (Brady, Gronkowski, Edelman, Stephon Gilmore) who all looked very good to outstanding during minicamp, we’ll focus on some of the lesser-known players for this segment. Jacob Hollister: The second-year tight end added some muscle and still looks like he can threaten the seams against just about anyone on the field. He was already a pretty athletic tight end, but now he seems even more so. Hollister was not only giving the second team guys fits but consistently got open against the likes of Devin McCourty, Duron Harmon, and Pat Chung. That was most impressive. If his newfound muscle translates into improved play in the blocking game, then he’s way ahead of the pack to be the #2 tight end on the depth chart. Training camp and preseason will be interesting to watch. Once the pads come on, if Hollister can still get open from the jams at the line, then he’ll be a key player to watch in the offense. He had an outstanding spring…now he needs to have a better summer. The UDFA rookie out of Maryland had the potential to be a top-tier CB and prospect but had off-field issues in college that had him dropped from Florida. But he’s turned his life around and he certainly turned some heads this week. The Patriots liked what they’ve seen with the rookie and gave him plenty of reps with the first team unit. While Bill Belichick pooh-poohs first or second team designations at this time of year, Jackson was out there often times facing the top WRs in the Patriots offense. And didn’t look at lost out there. We wrote about him six weeks ago and it seems that he’s in a good spot to secure a roster spot heading into training camp. He’ll have to beat out CBs Keion Crossen and Cyrus Jones for a CB slot. He had a very good head start on things while the other two were relegated to the lower practice fields working back from injuries. The Patriots have very high expectations from the first round draft pick and it is easy to see what they like. Michel has good size, is quick to the hole in the running game and is a smooth runner who looks really good in the passing game with very good hands. The coaches are working on him with his route-running and ensuring he’s precise in that manner and they’re ensuring his work on STs is up to par, he drew the ire of the coaches when he whiffed on a block during a kickoff return by Patterson. With an albeit limited look this spring, he looks dynamic in the Patriots offense. He and Rex Burkhead have the inside edge as being the two starters …right now. After missing all of 2017 with lingering knee issues, those appear to be chronic. Expectations were also high for Mitchell who had a very solid 2016 rookie season. Mitchell missed all of the minicamp and most of the earlier OTAs although during Thursday’s minicamp session he was spotted on the lower field working out with the training staff with some of the other hurt players. With a very crowded field at WR, it isn’t going to be easy for Mitchell to make the team unless he’s a healthy go for nearly all of the training camp this summer. Ditto for 6th round WR Braxton Berrios. He suffered an injury at the NFL Combine and is slowly working his way back. Rowe wasn’t sharp at any of the sessions this week and was beaten on occasion by every WR on the roster as the week wore on. During the Wednesday session, we watched Edelman get separation on him for a long gain, but he regularly does that to everyone he goes against. But as the week wore on, Rowe was losing reps to the rookie Jackson with the starting unit. Hardly the spring Rowe was looking forward to. We’ll see once the pads come on if that helps his coverage as he can jam more at the line. 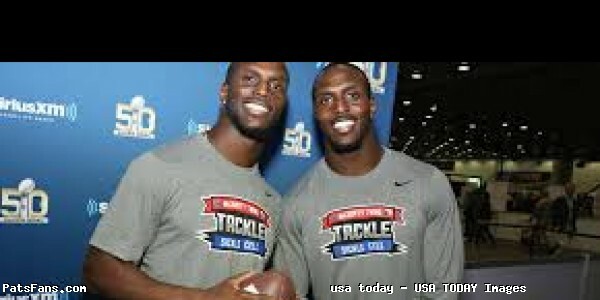 The McCourty twins didn’t see the field much this week, in one of the more puzzling moves. Jason was barely on the field during team activities. He spent most of it as a spectator just watching from the sidelines. We don’t believe it to be injury related as he didn’t go down to the lower fields to work with the training staff but stayed with the team on the upper field but as an observer. This will be an area to watch once camp begins. It is really hard to judge any of the linemen, offensive or defensive during minicamp since the players don’t wear pads. Those big guys plus the big running backs, (Mike Gillislee, Jeremy Hill, and Ralph Webb) plus blocking tight ends Dwayne Allen and Troy Niklas will get closer looks then. This entry was posted in 2018 Patriots Draft, 2018 Patriots Offseason, NFL Commentary, NFL News, Patriots Commentary, Patriots News, Patriots Rumors and tagged 2018 NFL Season, 2018 Patriots Minicamp, 2018 Patriots offseason, 2018 Patriots preseason, 53 Man Roster Projection, Bill Belichick, Chris Hogan, Cordarrelle Patterson, Danny Amendola, Dion Lewis, Dont'a Hightower, Jacob Hollister, James White, JC Jackson, Julian Edelman, New England Patriots, NFL, Patriots, Patriots Training Camp Photos, Rob Gronkowski, Sony Michel, Tom Brady on June 10, 2018 by Steve Balestrieri. On Twitter Tuesday, the New England Patriots shared an updated list of assigned numbers for all newly acquired players via trade or free agency along with some changes for longer tenured Patriots. 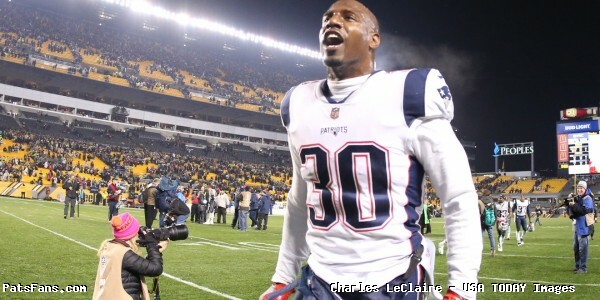 Some key notes include safety Duron Harmon giving his number 30 to old Rutgers teammate and cornerback Jason McCourty. He has held that number his whole career in Tennessee and Cleveland. Harmon will take Malcolm Butler’s old 21 in 2018. Wide receiver numbers have Jordan Matthews taking Danny Amendola’s number 80 and Kenny Britt switching from 85 to 88. 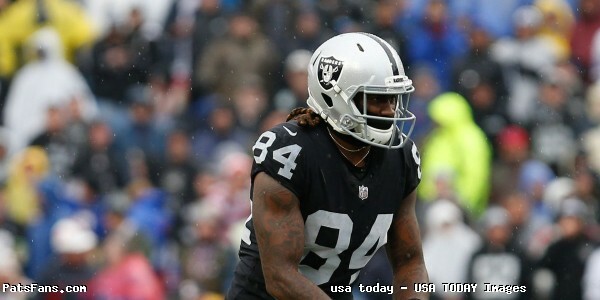 Cordarrelle Patterson nabs his usual number 84 that he held his whole career previously with the Minnesota Vikings and Oakland Raiders. Running back Jeremy Hill will sport Dion Lewis’ old 33. All 2018 draft picks and undrafted free agents will be assigned numbers when they arrive for rookie camp. This entry was posted in 2018 Patriots Offseason, Patriots News and tagged Cordarrelle Patterson, Danny Amendola, Dion Lewis, Duron Harmon, Jason McCourty, Jeremy Hill, Jordan Matthews, Kenny Britt, Malcolm Butler on May 8, 2018 by Robert Alvarez. In this episode, we discussed the recent signings for the Patriots. After that, we did our Offensive Draft Preview, as we shared our top three propsects at several offensive positions for the Patriots. Later on, we did our Patriots Mock Draft. This entry was posted in Patriots Podcast and tagged 53 Man Roster Projection, Bill Belichick, Dion Lewis, Dont'a Hightower, Julian Edelman, New England Patriots, Rob Gronkowski, Tom Brady on April 11, 2018 by Russ Goldman. As the 2018 NFL Draft draws closer we’ll profile some of the players that may be on the Patriots radar or that we feel would be a great fit. Jaylen Samuels from North Carolina State is a prime example of that. Samuels played tight end for the most part for the Wolfpack but in reality was much more. He is a true jack-of-all-trades as he lined up as a running back, H-Back, Fullback, wide receiver, slot receiver, and took some direct snaps. He’s not a Swiss Army Knife but more of a chameleon. His skill set is such that some NFL coaches will have a hard time actually deciding what position it is that he will be used at. He played every position on the offense for the Wolfpack except the offensive line. 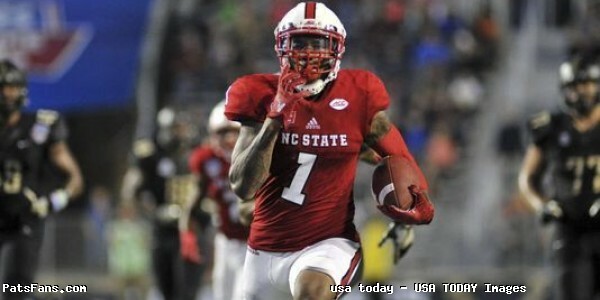 He was NC State’s leading receiver with 76 receptions for 597 yards with 4 touchdowns. He also rushed for 404 yards for another 12 touchdowns. He is a good route runner with good short area quickness where he can separate from man coverage. He possesses sure hands and will extend with a nice catch radius on throws wide of the mark and haul them in. Samuels was good in short-yardage, showing a nice ability to see the cracks in the defense and find the sticks or the goalline. Samuels is competitive to the nth degree and will sometimes go over the top and lose his cool, but is a tough competitor and will go all out for his coaches. With the right coach and the right system, Samuels can line up anywhere and be a factor on offense. As a running back out in the flat, as an H-Back, or in the slot. He will probably become a core special teamer immediately. That is the $64,000 question. He’s probably just best used as a varied weapon where ever the team senses a mismatch. Will his Role Change from Year 1-2? It is possible that after a year in the system with the coaches and players that they will find a niche for him, but he may stay a jack of all trades in the offense where the defense can never know what is coming. How Many Downs Can He Play? What Current Player on the Roster Will He Replace? Take your pick, this guy fills so many shoes he could become a valuable player that he could make a bunch of special teams’ players expendable. What is his ST Value? He’d immediately become a core special teams guy with his athleticism and physicality. Samuels is a guy that you can’t help but root for. His varied skill set will have to be paired with a team that must be creative with his use. He averaged 6.1 yards per carry at NC State. The fact that he can do just about anything on offense could be seen by some as a detriment as some teams won’t be happy unless they can plug him into a specific hole. What position is Samuels? 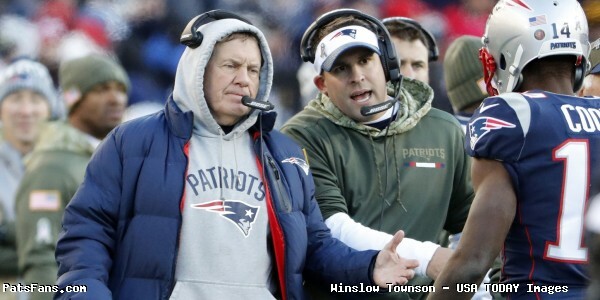 I think I know how Bill Belichick will answer that. He’s a football player, he’d say and we’ll see how he’ll work out. But with the Patriots, I can see him as a third down running back that they can put in motion out to the slot. An H-Back or even as a flex or “move” tight end. In other words everywhere… and why not? The kid can play a multitude of roles. After losing playmakers Danny Amendola, and Dion Lewis this spring in free agency, Samuels can help in replacing both in the running as well as the passing game. Does he fit a specific area of need? Not particularly. But his overall value will outweigh his specific value in any one area. Some team will draft themselves a football player on Day 3 and if they are creative, he will give them mismatches all over the field. Samuels will be a fit in New England because Belichick and McDaniels could definitely find a variety of roles for him to excel in. Right now the team does not have a fourth or a fifth-round draft pick. I’m sure that will change once the draft begins. That will change. And if they would select him, Samuels would give them a reason every day to keep him around. The man with no true position will end up with several. 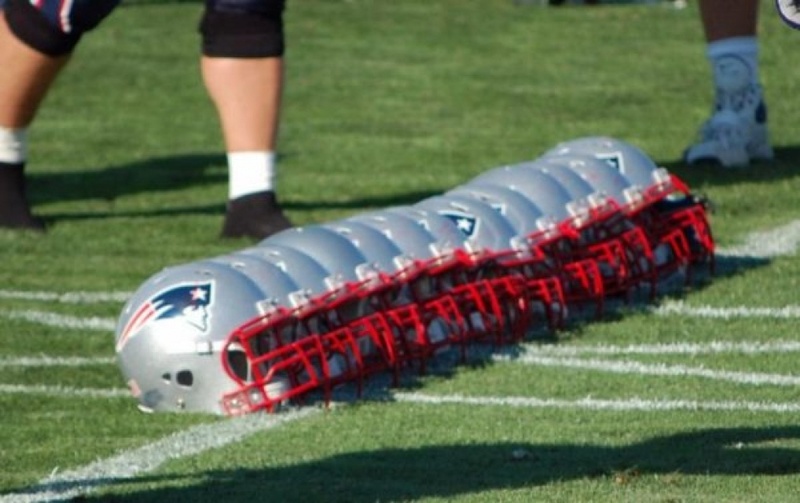 This entry was posted in 2018 Patriots Offseason, NFL Commentary, NFL News, Patriots Commentary, Patriots News, Patriots Rumors and tagged 2018 NFL Draft, 2018 Patriots offseason, Bill Belichick, Danny Amendola, Dion Lewis, Jaylen Samuels, New England Patriots, NFL, Patriots, Patriots running backs, Patriots tight ends, Patriots wide receivers on April 9, 2018 by Steve Balestrieri. In this episode, we talked about the Patriots players who have recently left, and the addtitions to the 2018 Patriots roster so far. This entry was posted in Patriots Podcast and tagged 53 Man Roster Projection, Adrian Clayborn, Bill Belichick, Danny Amendola, Danny Shelton, Dion Lewis, Jason McCourty, Malcom Butler, Nate Solder, New England Patriots, Patriots edge rushers on March 20, 2018 by Russ Goldman. The Patriots have found their new kick returner. The Patriots have traded for Cordarrelle Patterson from the Oakland Raiders while swapping draft picks. The Patriots will send their fifth-round pick and receive Patterson and the Raiders sixth-round selection. Patterson, 27, was a former 1st round pick of the Minnesota Vikings (29th overall) in the 2013 NFL Draft. That pick coincidentally belonged to the Patriots. The slid back and received four picks in return. In essence, Patterson’s NFL life has now come full circle. 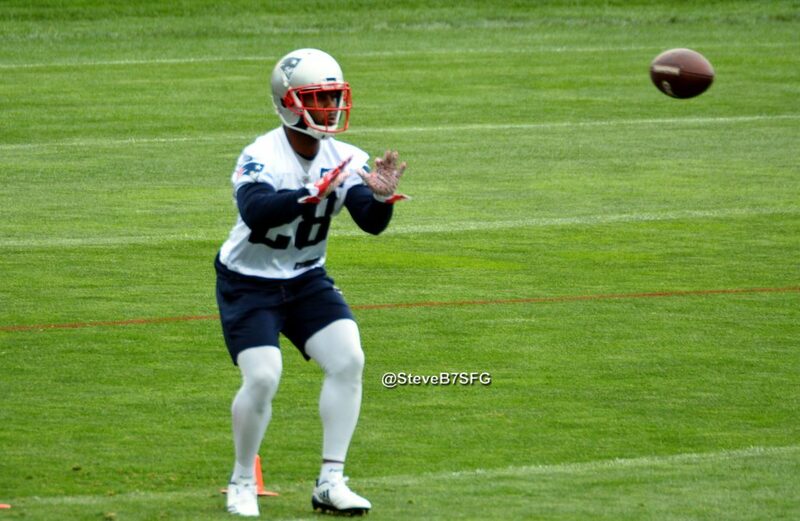 Patterson is known primarily as a kick returner and that will be his main function with New England. Dion Lewis had kick return duties in 2017 and averaged 24.8 yards per return. Patterson averaged 28.3 yards per kick return for the Raiders last season, the previous two seasons with Minnesota, he averaged over 31. Patterson caught 31 passes for 309 yards and rushed for another 121 on the ground for the Raiders. He is in the final year of his contract that pays him a modest $3.25 million dollars in 2018. This was a win for the Patriots, with Lewis and Danny Amendola gone, they lost both their Kick and Punt Returners from 2017. Cyrus Jones and others (see our post in the morning) will vie for punt return duties in 2018. But it seems that the kick return block has been checked. He has world class speed and has been an electrifying kick returner in the NFL. If they get any kind of production out of Patterson in the passing game, it will be a bonus. He did catch 52 passes two years ago for the Vikings. With the rushing yardage he amassed, they could use his speed on Jet sweeps or those shovel passes as well as outside the numbers. The trade is not official pending a physical. This entry was posted in 2018 Patriots Offseason, NFL Commentary, NFL News, Patriots Commentary, Patriots News and tagged 2018 Free Agency, 2018 Patriots Free Agency, 2018 Patriots offseason, Bill Belichick, Cordarrelle Patterson, Cyrus Jones, Danny Amendola, Dion Lewis, Julian Edelman, New England Patriots, NFL, Oakland Raiders, Patriots, Patriots kick returners, Patriots wide receivers, Tom Brady on March 18, 2018 by Steve Balestrieri.